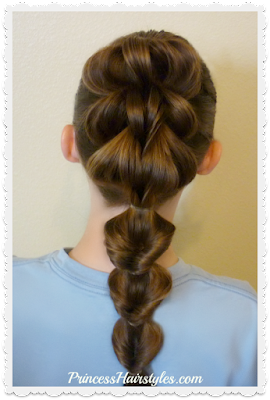 Today we are showing how to make a 3 strand pull through braid and 5 cute hairstyle ideas for finishing the style. 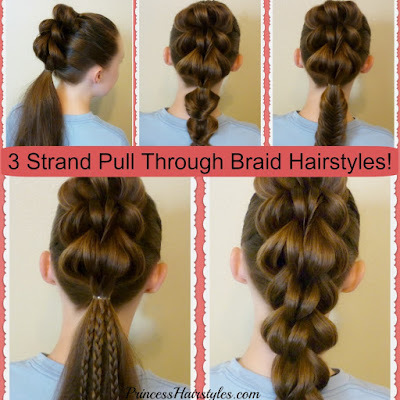 We have shown a standard pull through braid tutorial as well as the reverse braid on our blog in the past, but have not filmed this 3 strand variation up until now. We first saw this awesome and original braid by @prettylittlebraids on Instagram. 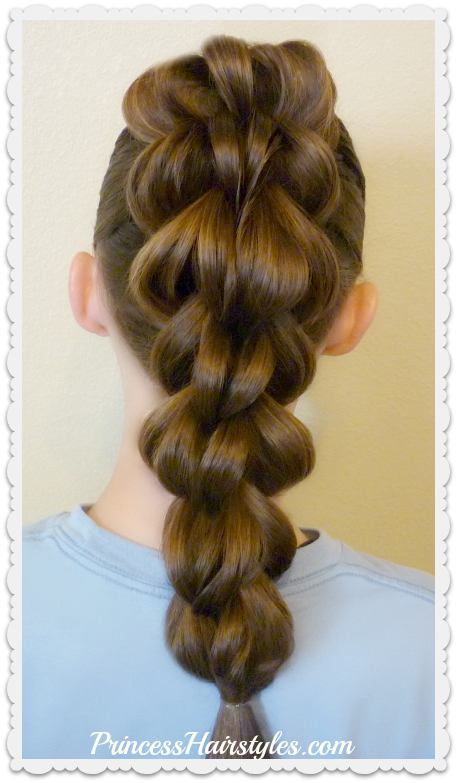 This is probably our favorite variation of the pull through braid since it looks so full, gorgeous, and voluminous! 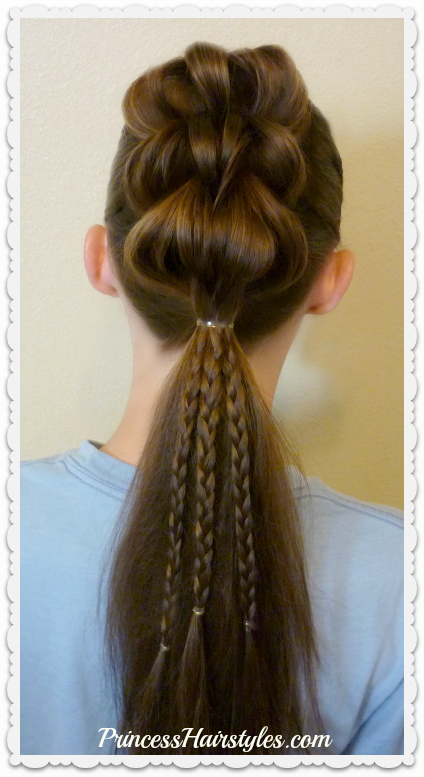 This edgy braid has the look of a "faux hawk" and would be great hairstyle for dance competitions and other sports. 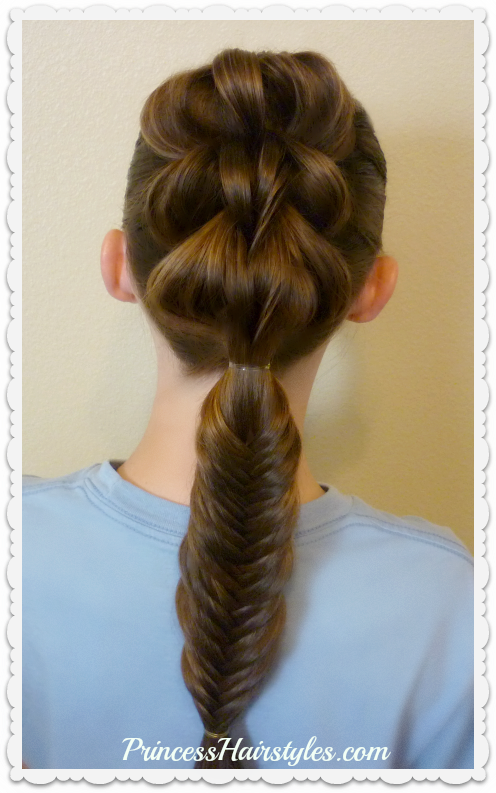 Since this braid is tethered with elastics all the way down, it holds up really well to most activities. Hi! 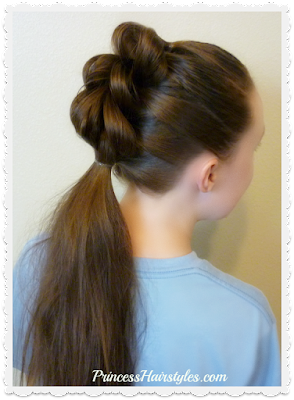 I newly know the many ways to styling hair by your blog. I even didn't think there are other ways other than just ponytail or simple braids. Do you create all of the hairstyles that you post? Then how do you think of them?